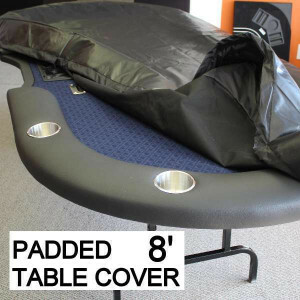 Our SPS Manhattan Series Poker Tables are one of the most luxurious Canadian Built Poker Tables in the market. 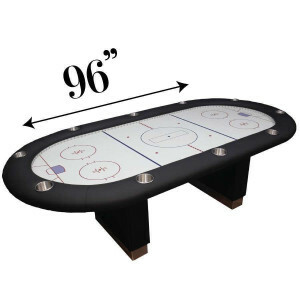 Measuring 8 feet by 4 feet these table are great for you Game Room and or Private Poker Clubs. They are handcrafted in our woodworking shop in Toronto. 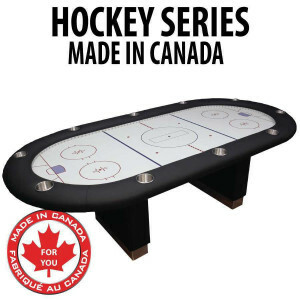 All of our casino tables are built using the finest materials, including ¾” Canadian Lumber, Closed Cell Velora under padding, High Density 1 ½ Rail Foam, Canadian Made Steel Folding Legs, Casino Suede Dye Sublimation Cloth and many more. We have several tables in stock and available for purchase immediately. Looking for something different? Call our sales team and just ask. We build custom casino and poker tables something within just a couple of days.